← UK Tour Blog 11, Findhorn. 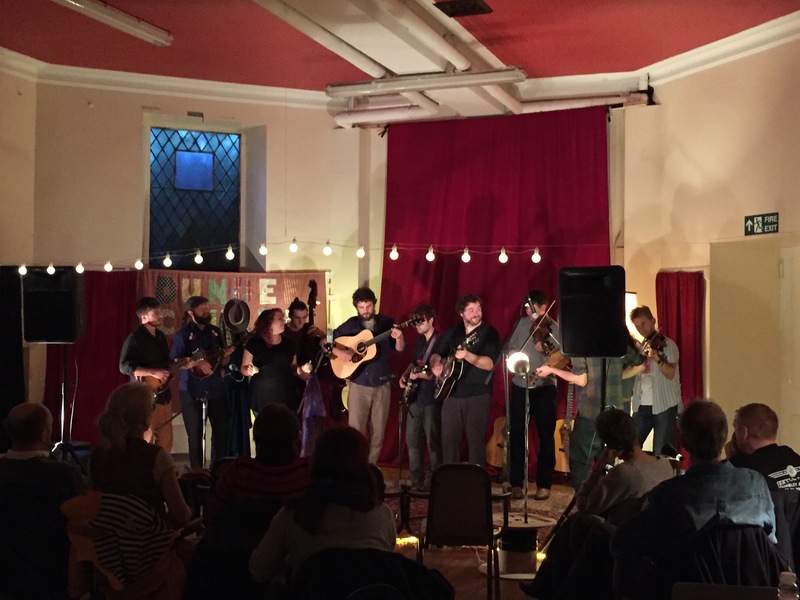 We finally made it to Edinburgh for a sold-out show last night, but first we stopped along the way for an afternoon concert at the Dundee Acoustic Music Club. We haven’t had many openers on this tour, but we had one yesterday in Dundee, a great local band Wire and Wool. They tore up their opening set, then joined us for Red Haired Boy and The Weight during the encore. It’s easy to connect with fans in Scotland, everyone is so friendly and warm, and it’s particularly easy to connect with Scottish musicians. No matter where you go musicians are the same and it’s easy to become fast friends, especially when you know a lot of the same tunes. We had a great time getting to play and hang with W&W. Between them and the fantastic crowd who braved the weather on Sunday afternoon to join us it was a great stop for. 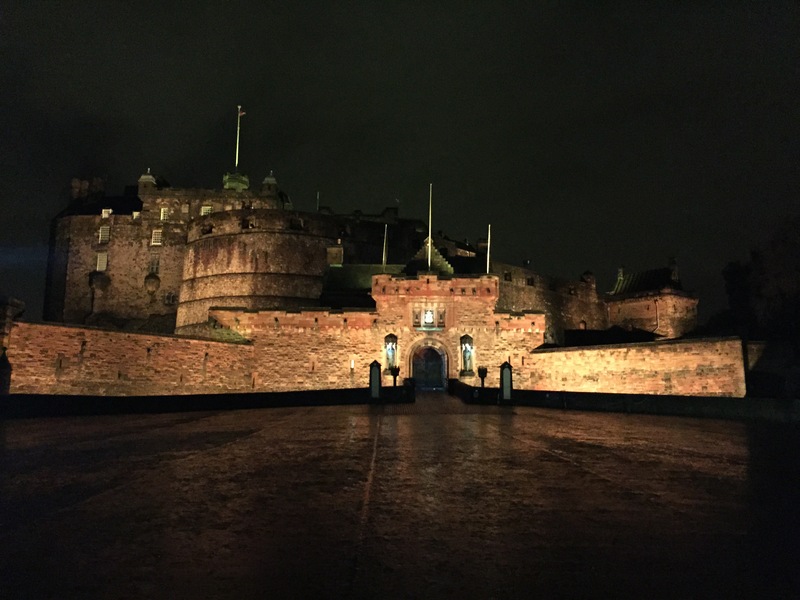 After Dundee we had to throw ourselves into the van and get down the road for gig #2 and our first visit to Edinburgh. On the way Gerry pointed out a few landmarks to us. 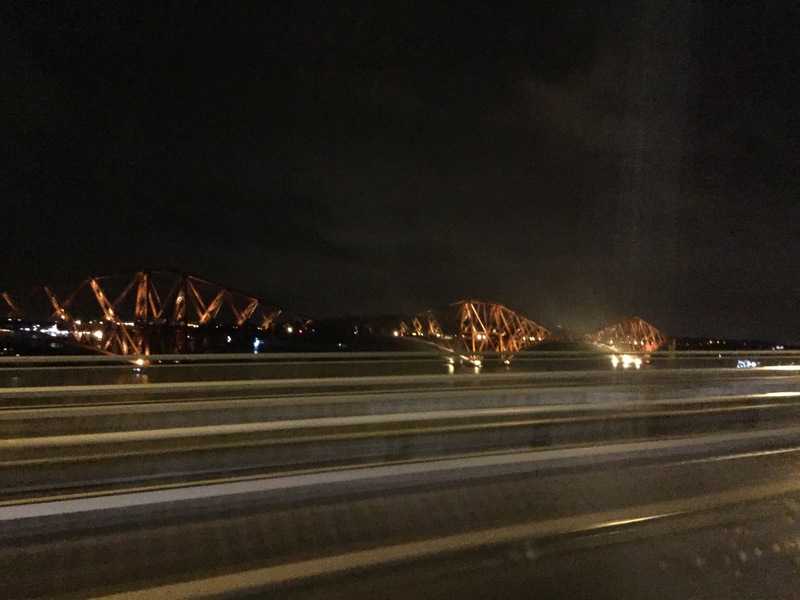 Most notable was the Forth Bridge, a victorian rail bridge that was responsible for making Scotland more accessible and is quite beautiful. I got a few photos from the highway, the best one is below this post. The crowd was as enthusiastic as the one in Glenbuchat, whistling and shouting the whole way. 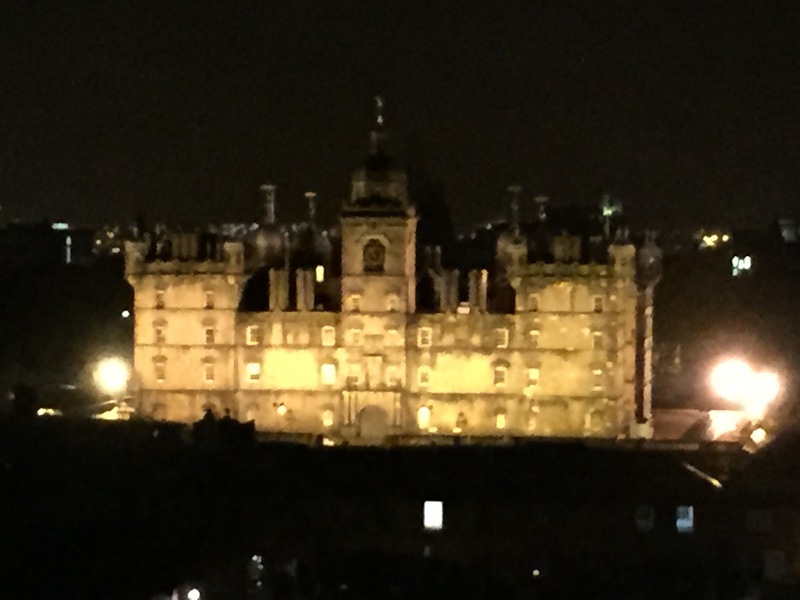 The show in Edinburgh was the best possible way to end our visit to Scotland. We’re back in England now, relaxing after the long drive (Thanks, Gerry!) and a massive feast of take-out curry. I’m going to miss the people, the shaggy countryside, and the simultaneously modern and ancient cities of Scotland. Tomorrow we make our London debut at The Harrison in King’s Cross; I’m positively thrilled for this show and to see London for the first time!